I still don’t know why I learned to fly, but for some reason I almost feel like it was always in my blood. Perhaps it was, even though when I began, I didn’t know it. Yesteray I received a letter in the mail from my Uncle Jim, who had been going through some old family documents. Included was an old promotional packet from the American School of Aviation in Chicago for pilot training that had been sent to my grandfather’s brother back in 1928. It got me thinking about how much aviation affects people and how many times it goes overlooked in our family roots. The material also got me thinking about our aviation roots collectively and how aviation has changed and how it hasn’t. When I first started flying, I was 15 years old, and I didn’t know anyone else that flew. 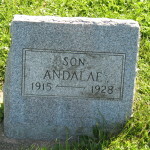 Nobody that I knew of in my family was a pilot. My parents rarely even travelled by air commercially. But for some reason I felt like I wanted to fly. At that time, I had no idea that in my future, my entire career would end up revolving around aviation. That would come later and with no real planning, it just happened. As I became more involved in aviation, through my training, and eventually professionally, I sought any aviation roots I might have. The first of these came in the form of my mother’s cousin, Fred, who got in touch with us as he was doing some family research. Fred and his wife Carol lived in Texas, and I in Michigan, but took the opportunity to meet when he was up in Wisconsin for some work he did with the EAA one summer and we got to share some of our aviation interests. Ironically, for a couple years, after Fred had retired from his job in Texas and moved to Oshkosh and I began working for the NAFI we both found ourselves working in the same building and got to know each other better. 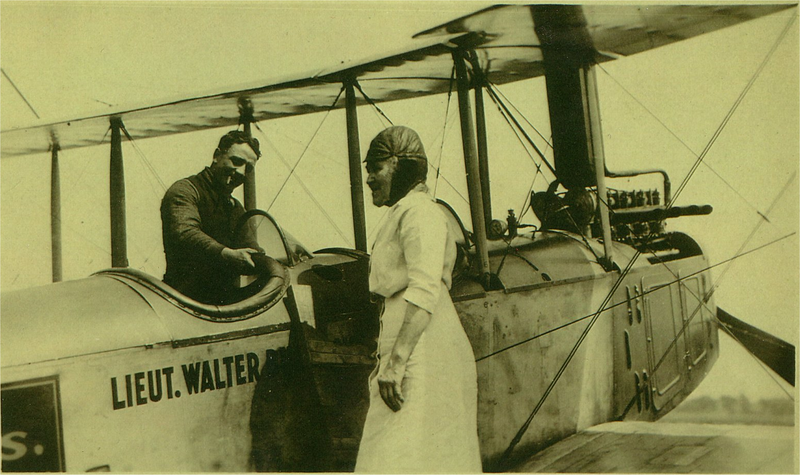 Through Fred’s research, we also became aware of a unique family artifact, a picture of my great-great-grandmother as she prepared for a plane ride in 1919! No doubt a rarity in most familys, few see record of any aviation involvement outside the military at this early point in aviation. Until the letter from Uncle Jim yesterday, this was the extent of family aviation interaction of which I was aware. But the letter he sent included promotional materials from the “American School of Aviation” (of which I have not found any other information to discern its history or quality yet…although I might do a bit more digging if my time allows). This letter was sent to my Grandfather’s brother, Andalae, who unfortunately passed away at the young age of 13 from what according to family records was listed as “osteopyelitis,” something that also reflects the times and progress. Today this would likely be cureable by means of an antibiotic treatment course. Perhaps had this been available then, we would have had a family member realize the dream of flying and a career in aviation as early as the late 1920s. 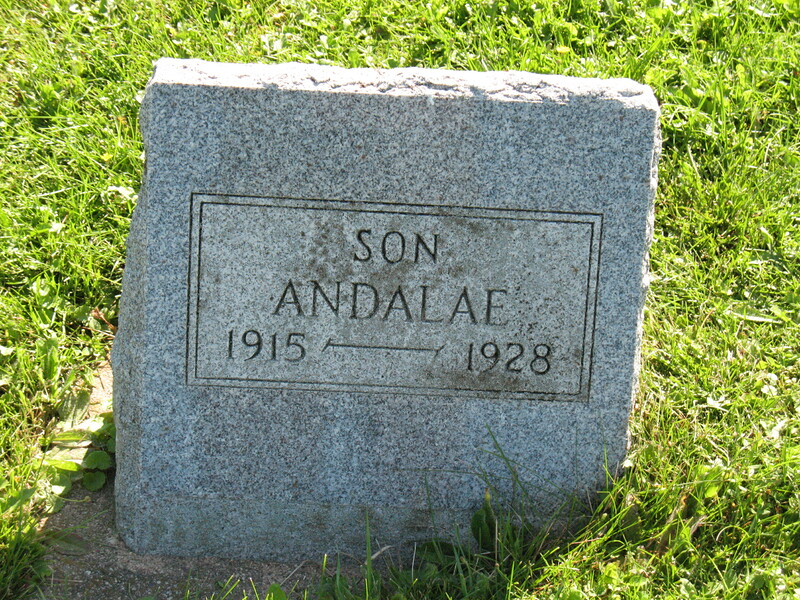 It probably isn’t much of a leap to think that Andalae, had he pursued his aviation interest, might have been about the right age when World War II took place to end up flying some of our country’s warbirds in that theatre of operations. Browsing the content of the pilot training solicitation was no less illustrative than to whom in my family it was sent. It is obvious from the content that the providers of training were seeking to attract young men who wanted rewarding, challenging, and adventurous career paths. Oh, and lucrative. Throughout the materials the content speaks to a new burgeoning field that will bring notoriety and adventure. It makes me wonder if any of that feeling about our career path can be salvaged yet today and some additional curiosity about not only my personal aviation roots, but our overall societal aviaiton roots. The mailer my uncle sent me is in amazing condition, looking like it was sealed in the envelope just yesterday and set on the shelf to await our discovery. Perhaps it was never really opened due to Andalae’s passing. I can imagine a young boy awating the mail that would introduce him to his future career. The American School of Aviation, based in not too far away Chicago (the family lived in northern Wisconsin at that time) delivered its pitch. A pitch that in some respects is no different that what we try to sell to young, potential future pilots about a career in aviation. There could be no doubt in success. They said that there would always be a need for pilots, pilots who would travel the world and experience adventure like in no other jobs. This was tthe industry of the future. I find it exceedinly interesting that an airplane in front of the hangar in Reno, NV is shown. 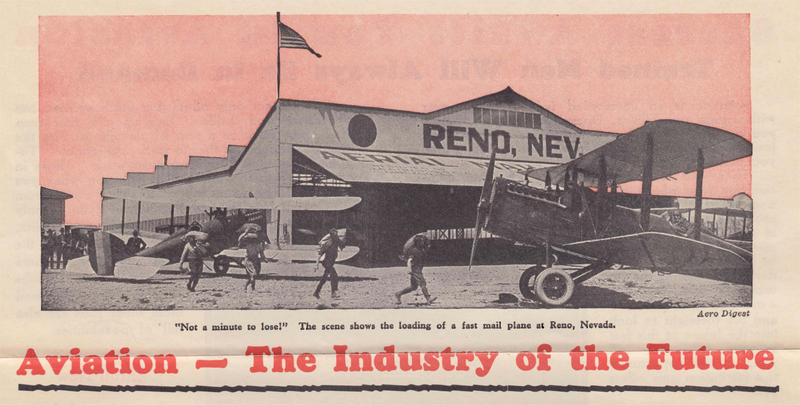 While at that time, they were in the future of aviation, Reno, NV has a special place in our modern avition lore from the races that take place there each year. While Reno was in the future, some of the biggest names in aviation history had already been spread far and wide. 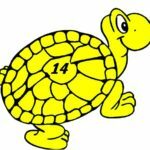 There is no doubt that most had heard of Charles Lindbergh by this point and the Ryan aircraft company, two big names that the aviation school took advantage of in their materials. Touting Ryan aircraft’s merits as the aircraft builder of Colonel Lindbergh’s “famous airplane,” they go on to include a letter from Ryan Airlines supporting the strength of their training program, insinuating that their graduates would be easily able to find employment after their training. These roots of employment promotion even prior to training in the aviation community are not greatly different than what many current flight training providers use to market to prospective students. 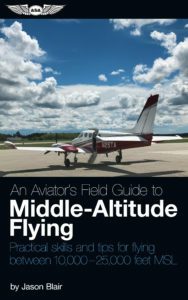 These hiring relationships show a long standing historical approach to training in aviation partnering with employers to secure employment for their graduates and for the airlines to reach to what are considered quality training providers for the pilots they need to fill the front offices of the airplanes they operate. Aviation in this mailer is compared with careers in “the motion picture business” and the “autombile industry.” These must have seemed stable and progressive career fields at that time. Compared to the automobile and motion picture industries in their promotional materials…thousands of men working at routine, uninteresting jobs…the question is begged…wouldn’t you rather be a pilot? 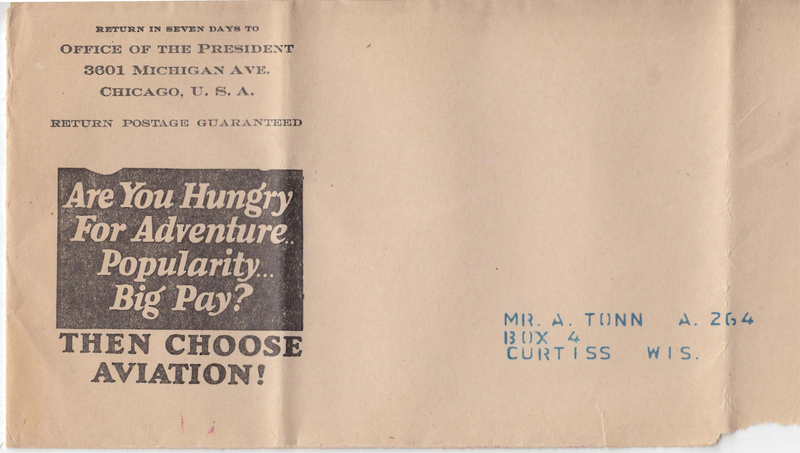 Financing even then was a concern that was addressed even in the first mailings. Touting no upfront costs, the Aamerican School of Aviation in Chicago had the answers to this for its prospective candidates. They indicated an ability to provide the full package (no doubt something that parents of a young boy seeking an aviaiton start then, and now, would want to see). It is interesting to see that in some respects, things have changed little. We still seek high quality candidates to fly our airlines. Schools still market to prospective students, promoting the completeness of their programs and their abilities to deliver jobs when the training is completed. What has changed, is the perception of the career path by those interested. Our aviation roots have lost their luster in the modern day. While I consider the aviation roots directly involved with flying aircraft of both my family and our industry, I can’t help but wonder about the impressions of the general public of aviation. In the past, flying was something to be wondered at and to be cherished when the opportunity arose. Our country followed the exploits and accomplishments of such aviation moguls as Lindbergh, Hughes, and Post. Do we have any aviation stars anymore that would even be recognized by the general public? The involvement by most includes at best, standing in long security lines at commercial airports as they await their place in cramped seats with less leg-room than ever on a glorified bus seat that takes them from city to city. The luster is gone, but efficiency has taken its place. Efficient, but dispassionate. 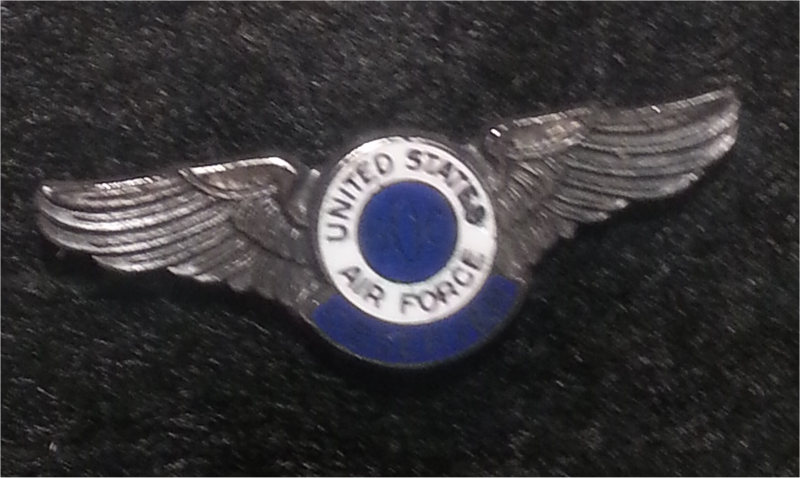 In discussion with my uncle after receiving his letter, he also noted that my grandfather Harold (Andalae’s brother) had a pin from the “Ground Observer Corps.” While Harold was never a pilot, he did have a connection with aviation. Most commonly noted as a part of the WWII effort, members of the Ground Observer Corps (of which it seems there were approximately 1.5 million people) were to watch the skies and report aircraft transitions. The main intent was to watch for potential German or Japanese aircraft entering into the U.S. airspace. While we know historically that the incidence of this was rare (probably even nonexistent in northern Wisconsin), it did get another family member of mine looking skyward at aircraft, even if he wasn’t flying them. It is good for us to look at our family roots, and even more interesting when we can find some that interact with our own interests and life path. 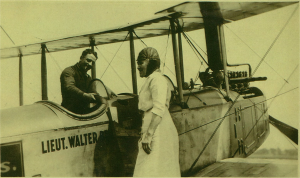 There is no doubt that I am laying down personal aviation roots in my life that go beyond these that I have found smattered through my family history (although I hold out the possibility that I may find others) as I have an entire career focused on the aviation field. I can look at my own roots and see how my field of interest interacts with previous family involvement in the same field, but I hope we can do this on a broader sense with aviation as a society. Aviation has strong roots in our society of being a unique and exciting field. It had the luster on par with explorers and movie stars, but that seems to be gone. Have our aviation roots flowered into something that we see every day and of which we take no notice? There really is still something very special about flying. It is something that for thousands of years mankind has dreamed of, something that still today even a small percentage of the people on this planet get to experience. Cherish it if you have the opportunity as you might cherish your own family history. *If you want to see the entire mailer, I have scanned it. Click this – American School of Aviation 1928 Recruitment Mailer. Jason, on a similar line of thought, I too was thinking recently about how we are introduced to flying. How about a survey of pilots? Question one: Are you of the male gender? Question two: Did your dad (or other close family member) fly? These two questions would be largely answered Yes. For me there wasn’t really any question. 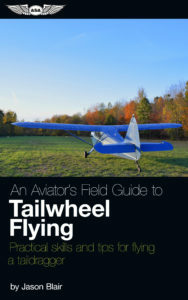 My dad was a CFI and taught aerobatics. His brother flew fighters including P-51s and F-4s in combat. Add to that, I’m a man who grew up in the sixties when pilots were really cool mostly because of the space program. All this left its mark on me. I don’t know if I really had a choice. Growing up, I did’t cosider flying becuase of its utility. It was just cool and fun. I don’t think we’re really going to sell the utility value, especially to young people. You don’t buy a Harley ($20k) for utility. It’s just a fun thing to do. I fly for fun.